I usually hate everything about covers. I hate the idea of "stealing" someones work for your own personal gain, I hate the idea of claiming that you changed that work enough to make it your own, and I hate the idea of every artist in the free world botching "Let It Be." Covers to me have always been an admission of an artists lack of creativity or even worse a shameless admission that the artist you are covering is more talented than you are. Covers for me were always an excuse instead of being actual art. So when I was recommended Sun Kil Moon's Tiny Cities, a Modest Mouse cover album, I was skeptical to say the least. I always thought the only artist who could be Modest Mouse was Modest Mouse. Modest Mouse's songs always have a schizophrenic like energy, a "space rock" vibe, clever lyrics, and a pretty badass feel. If Mark Kozelek tried to make Modest Mouse songs like Modest Mouse, he would fail miserably because the only artist original and creative enough to be Modest Mouse is Modest Mouse. 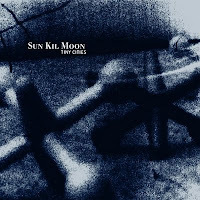 Instead Kozelek made a Sun Kil Moon album featuring Modest Mouse's lyrics and the result is the best cover album I have ever listened to. Instead of trying to "cover" songs like "Tiny Cities Made of Ashes" and "Ocean Breathes Salty" Kozelek brings a unique feel to these songs and "recreates" these classic songs in his own way. Kozelek replaces the schizophrenic energy of Modest Mouse with his soft and warm vocals, he replaces Modest Mouse's space rock feel with the folky acoustic feel of his own songs, and replaces the "badass" feel of Modest Mouse with a feeling of peaceful contentedness. The only thing that is Modest Mouse about Tiny Cities are the lyrics and the track titles, the rest is just Mark Kozelek's warm vocals and acoustic guitar. The acoustic feel makes the music so "humane" and relatable. When I listen to Modest Mouse I always feel like I am listening to great music but I have never felt like Modest Mouse made great music that I could actually relate to. The acoustic feel of Tiny Cities brings out Modest Mouse's sensitive side: "Tiny Cities Made of Ashes" sounds like a beautiful ballad instead of saying like a parnoid hard rocking song, "Ocean Breathes Salty" sounds like a perfect closer to a folk album instead of sounding like a forgotten song on a popular indie rock album, "Trucker's Atlas" sounds like a perfect four minute traveling song instead of sounding like an 11 minute cluster mess, "Draminine" sounds like a fast picking acoustic song instead of dark distorted rocker, and "Space Travel Is Boring" sounds like a folky anthem instead of sounding like a rushed two minute interlude. The soft, warm, and acoustic feel of this album makes Modest Mouse's lyrics and gives their music a totally different feel overall. You know get to see the genius of the lyrics of "Ocean Breathes Salty," "Truckers Atlas," "Neverending Math Equation," and "Tiny Cities Made of Ashes" instead of just viewing them as brilliant and energetic songs. Kozelek's gives us a Modest Mouse that we can cry to, we can sleep to, and most importantly a Modest Mouse that we can realte to. The softness of Kozelek's covers of Modest Mouse bring the bands brilliant lyrics to life and in a weird way bring one of the most energetic bands in the world to life.